The summer’s most popular way to cook! 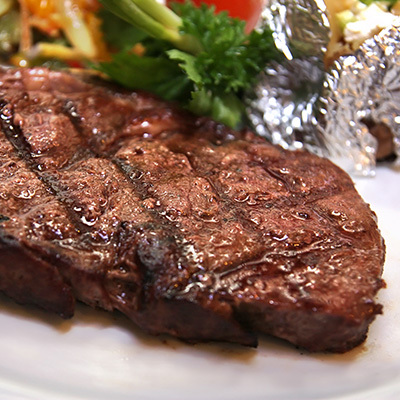 Grilling is a popular summertime activity, and furthermore it adds a delicious smoky flavour to food. Whether you like preparing beer can chicken or a juicy steak when having people over, grilled vegetables or merguez sausage hotdog while camping, a fillet of Canadian salmon en papillote or grilled haloumi at the cottage, barbecuing is simple, easy, and tasty. 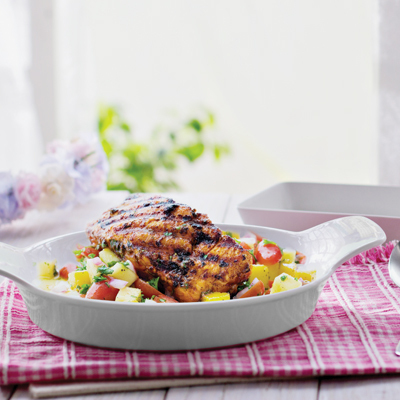 Try our ready-to-cook options available in-store and our new marinades for guaranteed success! Become a grill master and improve your technique with these simple tips. Make sure your grill is clean before you start cooking. That will prevent foods from sticking. Clean the grill with a brush and then oil it using a tissue soaked in oil. 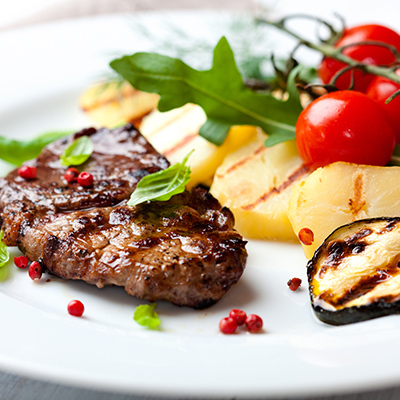 Light up the BBQ and add your meats and veggies once it reaches the ideal temperature. To make sure your meats and brochettes are as juicy as possible, avoid flipping them too often while cooking. Once should be enough! 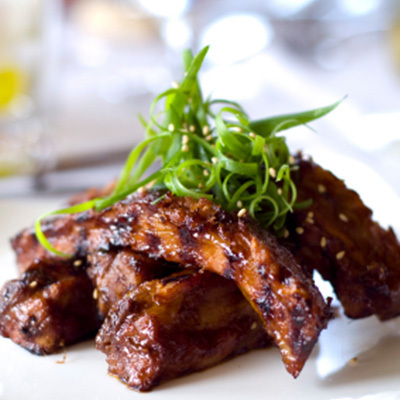 If you use sauces or spices too early in the cooking process, the BBQ will dull their flavour. Wait until midway cooking before seasoning. Keep in mind this doesn’t apply to marinades! Try grilling fruit for dessert! 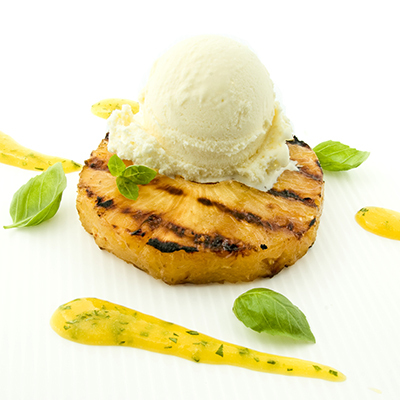 Caramelize some slices of pineapple and serve them with vanilla ice cream. You can also prepare s’mores without a campfire by grilling graham crackers, some chocolate, and a marshmallow on the grill. Heat it up and enjoy! Fruits and vegetables on the barbecueIf you regularly grill veggies on the BBQ, try some fruit for delicious and surprising results! 5 unforgettable BBQ marinadesPonzu, miso, pineapple BBQ, piri-piri, zaatar… This summer, take your taste buds on a tour of the world! 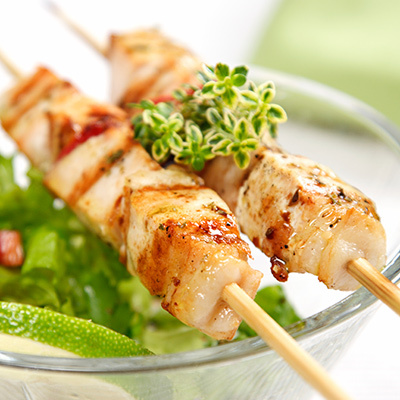 No matter what you’re grilling, a delicious marinade will make your meal truly memorable. 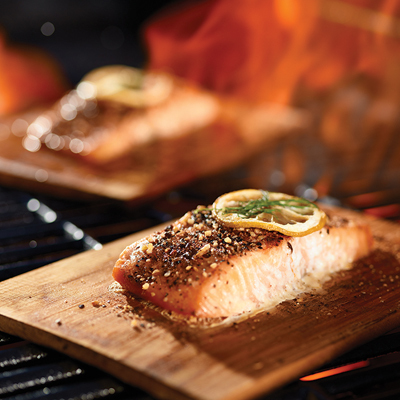 How to best cook fish on BBQFish is a tasty, nutritious choice that’s easy to prepare. Here’s a short guide on how to best cook fish. Grilling chicken to perfectionBBQ Chicken is a cooking classic! 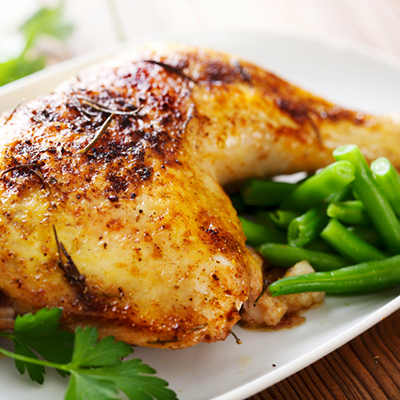 Here are some tips and suggestions on how to make it juicy and tender. Brochette Bar: Pile Up on FlavourA brochette bar is all about fun—especially when you’re entertaining guests in the backyard. Just put together “stations” where everyone can prepare their own brochettes. Perfect for your smallest guests—and big guests, too! Sausage and brochettes on the BBQA few simple tips to help you get perfectly cooked brochettes and sausages every time. Cheese on the BBQGrilled cheese is an outstanding way of enhancing your salads! Caesar romaine lettuce on the BBQThis summer, try this unique recipe that will surprise your guests! Best of BBQFrom our homemade BBQ sauce recipe to our marinade suggestions, find out how to get the most out of your meal on the BBQ! How to make a beer chicken on the bbq!Impress your guests and add a touch of summer flavours with citrus. Having people over for dinner? 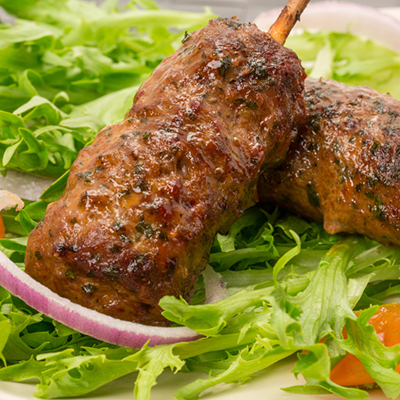 Buy brochettes and get different meats, vegetables, and marinades. 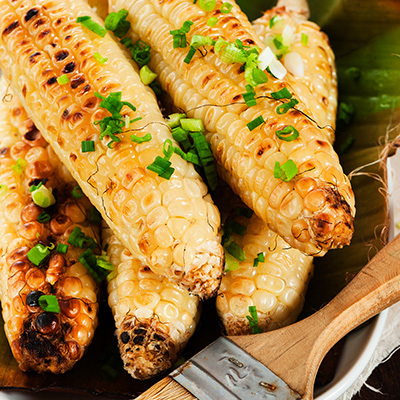 Cook them on the BBQ and serve with a side of grilled veggies or fresh salad and let everyone fill their plate how they like!